If you want customers to use only one of the above methods for each order, you need "Discount Restriction". 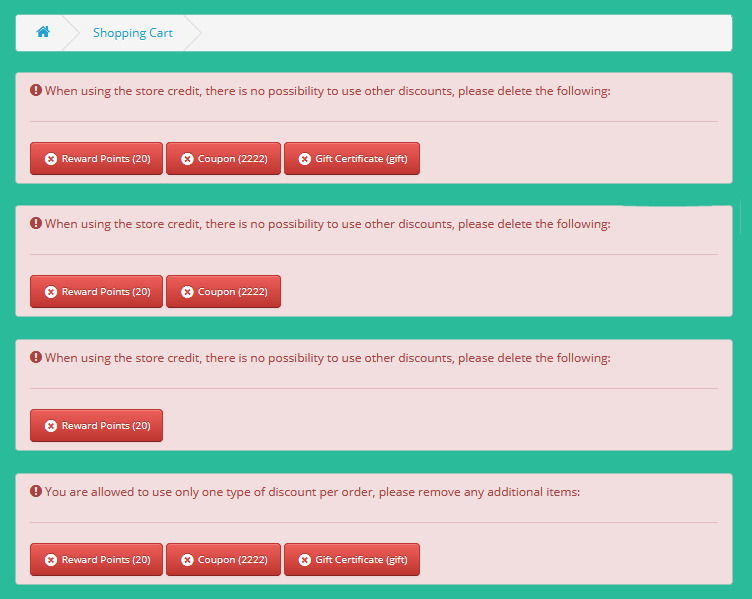 This extension does not allow customers to use more than one type of discount in each order. Please add above product to your cart, then go to cart page. This customer has some reward points and some store credit. Both vQMOD and OCMOD are available! No core files are changed or replaced. - If you don't have vQmod, you must download and install it.